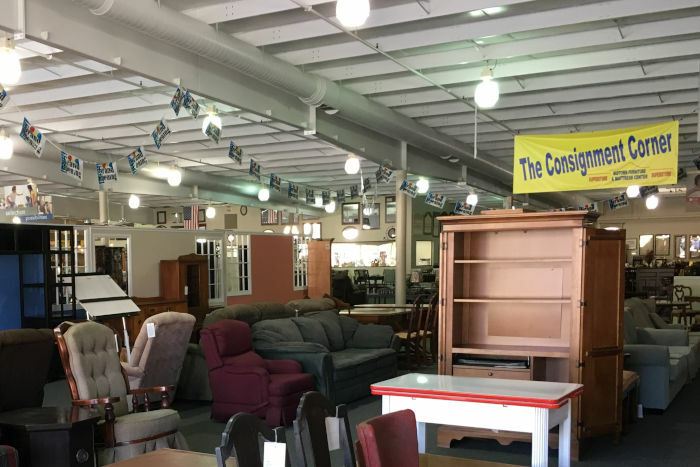 We have committed a portion of our sales floor to consignment furniture. We offer gently used and some new furniture in The Consignment Corner. This is a space that has lots of furniture deals. Please come on by today and see what we offer. The inventory changes daily in The Consignment Corner. We look forward to assisting you with your consignment furniture. We want to make this profitable and easy for you. We want to be the first place you think of for consignment furniture. We look forward to earning your business. We offer 120-day consignment period to our consignors. We do not charge any rental fees of any kind. 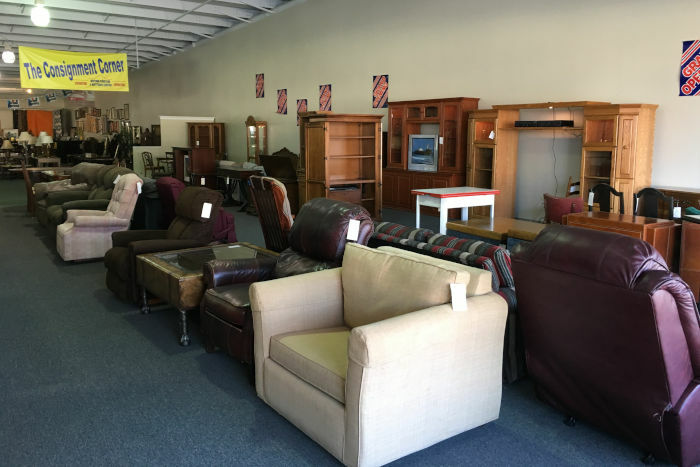 Once you choose to consign your furniture with us, we will merchandise your furniture including pricing, placement and cleaning. You never have to return once you have dropped off furniture. We take care of everything for you. We even mail you your portion at no additional charge. We do not charge fees to the consignor for picking up their items before the end of the consignment agreement. You may pick up your furniture at any time, by appointment. You may drop off your product for free any day we are open. If you cannot bring your items to us, we can arrange pick up for a fee. If you choose to have us pick up your furniture, you do not have to pay anything at that time. The fee will be deducted from your payment once your furniture sales. If it does not sell, which will be rare, and you leave the unsold furniture with us you owe nothing. We also have the ability to deliver the furniture purchased from The Consignment Corner to our customers. We have been in business since 1977. We know how to sell furniture. Customers have the ability to pay for consigned furniture by cash, check, credit card and even 12 months same as cash, with approved credit. We want to make this easy for you to consign and for the customer that purchases your furniture. How To Consign With Us? You may bring in your gently used furniture at anytime we are open. We prefer an appointment, but it is not necessary. Please email us photos at sales@midtownfurniture.com so we can discuss pricing and if the furniture is worth consigning. We do not want anyone to load up a truck and bring in items we just cannot sell. That would not be beneficial to anyone. Once everything is agreed upon, we have a simple contract to sign. We will price and place your furniture on our floor for you. We will mail you a check for your portion of the sale. That is it. We want to make this easy for you. I recently bought my living room suit from Midtown! I had a budget for what I could spend and the staff was very patient in helping me make the right purchase. I will need a new mattress set soon and Midtown will be where I go. Thanks to Midtown Furniture my family and friends absolutely love my new lining room suit. We bought a new leather sofa, leather love seat, and a new recliner for under $1,1OO!!!! I am VERY pleased with my new living room suite from Midtown furniture. They have a very wide selection of ANY kind of furniture you can think of. Living room, bed room, dining room, you name it they have it at Midtown. So if you need furniture and want a GREAT deal, go see Woody or one of his helpful associates At Midtown Furniture in Madison N.C. And as Woody says, WOW!!!! We have shopped at many furniture stores recently, but none can compare to Midtown Furniture. The staff, especially Ann, was a dream to work with. She understood our needs and was extremely patient with us until we were able to find just the right pieces for our home. We would highly recommend Midtown to anyone shopping for furniture. We do not feel that the prices can be beat anywhere! Thank you for the wonderful experience!! I came to Midtown looking for something to store display dishes. The salesperson suggested a corner cabinet. I didn’t realize I had a spare corner and it didn’t take up too much room. I have plenty of storage too. Love it. Thank You. While I was there I saw a large selection of bedroom furniture. I was almost overwhelmed, but the salesman helped me narrow it down to exactly what I wanted and needed. I also purchase the best pillow in the world here. Midtown Furniture treats you with respect. They don’t treat you like you are another check in their pocket. The staff is great. They are very friendly. Everyone met me with a smile and was willing to help me. Midtown Furniture is a local furniture store that has great appeal to the whole area. The staff, the service that I have always received, and the prompt delivery service have always brought me back. Honestly I don’t like the commercials, but this is a big store with very good prices and they give you a discount if you pay cash.